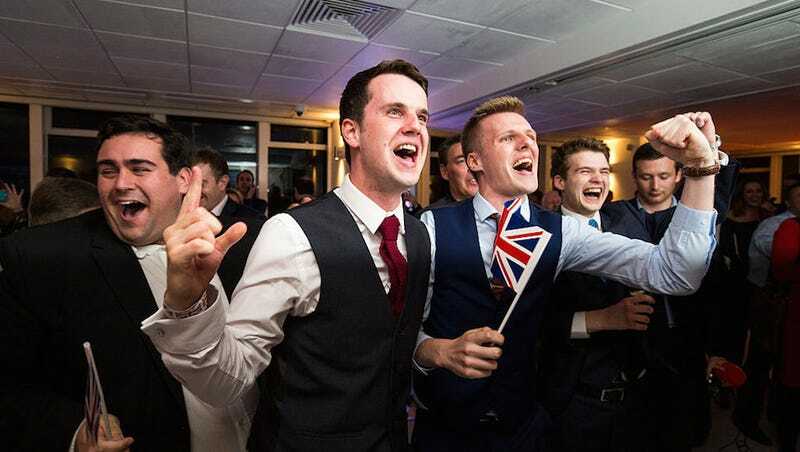 You may have woken up to news that the UK voted to leave the EU which sent the global markets plunging and led to the resignation of the prime minister. But there’s more! Google Trends suggests that many people in the UK still aren’t sure what passing “Brexit” even means. According to Google Trends, there was a 250 percent spike in searches for “what happens if we leave the EU” around midnight British time, which is after the voting ended and presumably around the time global currencies went wild and Scotland started saying again it didn’t want to be part of the UK anymore. There has also been a surge in searches on how to get an Irish passport, as Ireland is still part of the EU. Think of it as the British version of “moving to Canada if Trump wins.” Stateside, Brexit isn’t good for the American science community either, as the “leave” vote might mean a loss of talent, funding, or collaboration. Given that turnout was about 72%, it’s likely that the frantic googlers are those other 28% who didn’t think the daily headlines worldwide and massive campaigns with celebrities involved were worth paying attention to at all—which isn’t really much consolation.